The Voice Of the Philippines Season 2 is well on its way toward finals and finally Top 8 artists were ready to grace the stage of Resort World manila on February 21, 2015. Since it is now the semi-finals, new set of rules will be used in this part of the competition. Team Sarah’s Monique Lualhati had chosen ‘Fighter’ by Christina Aguellera. She recounted the experience of even borrowing money just to get into a competition’s venue. She also shared that her family is currently renting a house. She dreams of buying a grand new house for her family, and to do this, she is determined to fight for her place as the Grand Winner. Apl said that her performance had been super awesome. She had showed that she was truly a fighter. Sarah said that Monique was able to give Sarah goosebumps. Jason Dy had chosen ‘Back at One’, the song to express his experience during his parent’s divorce. He had been angry at first yet he was able to let go of the feelings as he realized that both of his parents seemed to be happy in the end. He also shared that now, he is beginning to fix his relationship with his father. Lea voiced out that she judges an artists according to how she felt. It was like her soul had escaped her body to just get to him. As soon as he opened his mouth, he seemed to get more husband. Sarah said that her heartbeats had gone faster and he seemed to have some magic in him. The voting lines are now open for Team Sarah. Who will you root for? 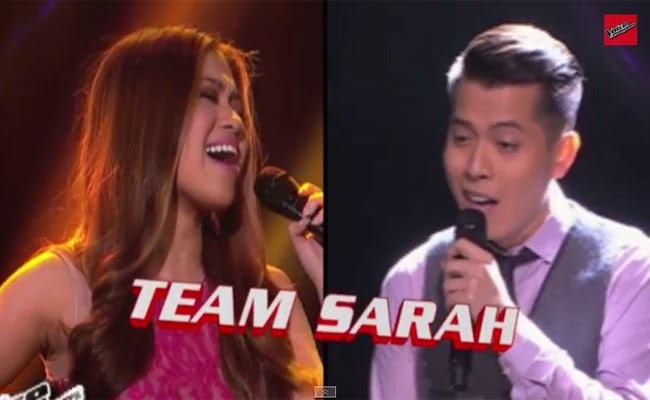 Who will get to the finals and represent Team Sarah?